If you're wondering whether you’ll be able to migrate to Australia on a skilled migration visa, you've come to the right place. We’ve created a list of some of the most in-demand skills, and occupations within those skills, for prospective migrants, based on our own visa application experience, our first-hand knowledge of the Australian job market, and relevant data drawn from the Department of Immigration & Border Protection. If your occupation isn’t on this list, don’t be disheartened. Many other occupations also qualify for a skilled migration visa. Speak to our qualified team today for an obligation-free evaluation of your circumstances. 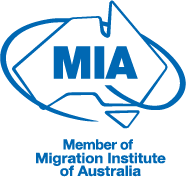 Click the button below to download our list of In-Demand Jobs for Immigration to Australia.